Servicing your car – why it’s important. If you want to keep your car in good shape, safe on the road, and much more cost-effective, then regular servicing and routine maintenance is essential. Here, we’re going to take a deeper look at just how helpful it can be and why a little investment now can save you a ton of money in the long run. We offer an extensive 30/60/90K service, also known as factory scheduled maintenance. This is all the love and care that the auto manufacturers say is required to keep the car in better shape for longer. Simply put, regular maintenance is a sure-fire way to improve the lifespan of a vehicle. The better you treat it, the longer it is to last. What’s more, it can help us highlight any potential issues that you wouldn’t be able to notice on the road. By spotting it early, we can fix it earlier, too. One of the advantages of fixing those hidden issues that are hard, if not impossible, to notice is that said issues can make your drive a lot more dangerous. We will make all the essential checks to the most critical parts of the car, including the braking and suspension systems. The stress of driving could cause a hidden issue to suddenly become a real danger, and those components could fail you when you need them the most. Beyond listening and looking out for the signs of trouble, yourself, routine maintenance is the most effective way of preventing accidents due to auto malfunction. So, let us service the car and give you a little more peace-of-mind on the road. As you might imagine, making the little fixes that we spot during a service could also save you a tremendous amount of money by preventing you from paying for more extensive repairs and part replacements. Regular maintenance also decreases your risk of breaking down on the road and having to pay for the breakdown recovery services. It impacts your costs even when nothing is wrong, too. Servicing the engine, for instance, makes it a lot more fuel efficient, which means you’ll be spending less time and less money at the gas station pumps. If you’re like most car owners, you might want to sell your vehicle when it’s time for an upgrade. Routine servicing has been proven to help vehicles maintain their value for a lot longer. Not only are you less likely to have to spend on repairs and fuel costs, but you can get a much better deal when it comes time to say goodbye to your old auto. Servicing your vehicle can really make a huge impact on your car, your life, and your wallet in the long run. Besides the expertise to help you do just that, we take pride in the customer service we offer, ensuring that you’re not overcharged nor sold any services you don’t need. Get in touch and let us prove the trustworthy, reliable team you and your vehicle need. As we celebrate our 5th anniversary, we want you to know how grateful we are for your support over the years! We’re it not for you, we wouldn’t be here today! YHS Automotive Service Center is honored to be a proud sponsor of the 1st Annual “Joe Joe Bear” Charity Car Show Saturday, May 12th at Ft. Bend County Fairgrounds from 10:00 am to 5:00 pm. We couldn’t think of a better way to celebrate our 5th anniversary than to support this wonderful organization dedicated to providing comfort to children with life threatening illness! YHS Automotive Service Center will be donating $1 for every $25 spent (excluding commercial accounts) from May 1st through May 25th and grand prize winners will be announced on June 1st. We’ll be out at the car show with games to win prizes or raffle tickets for 1 of 2 grand prizes during the event and 2 more grand prizes through May 25th! Register to win and pick up an “I Love YHS” button, wear it with pride. We’ll be calling out numbers on the buttons every hour from 11:00 am until 4 pm for instant prizes and announce the big winners of either a free front end brake job or a 30K, 60K or 90K maintenance package (maintenance package for Honda, Acura & Toyota only – transferable). Instant prizes include raffle tickets for a better chance to win the grand prizes, T-Shirts, Koozies, or a free tire rotation & balance. We’ll be giving away a few free oil changes too! If you can’t make it to the car show, swing by YHS Automotive through May 25th. You can still play and register for grand prize raffle tickets and various prizes ranging from T-shirt’s & Koozies to a free front end break job, free tire rotation/balancing with a few free oil changes in the mix. Make a donation to Joe Joe Bear foundation, get your vehicle serviced, or just hang with the YHS crew while checking out customer reviews online. Grand prizes include a set of new tires for a family sedan (some exclusions may apply, call YHS for details) or a timing belt package for Honda/Acura only (transferrable, call for details). We welcome you to join us in supporting the Joe Joe Bear Foundation at the car show or at YHS Automotive Service Center. It’s a great cause making a huge difference for the children in our communities with potentially terminal illness. Have questions – stop by or give us a call at 281-994-9750. Visit our website at https://www.yhsautomotive.com or visit www.joejoebear.org for more information about the charity and event. There will be lots of fun for the family, kids and adults included, not to mention some pretty awesome food and gorgeous classic cars! Call YHS Automotive for details. Some exclusion’s do apply. European cars are not included. YHS Automotive Service Center and Joe Joe Bear Foundation shall be held harmless in all cases. YHS reserves the right to approve or disapprove any transfers or substitutions of an equal or lesser value. No purchase necessary to play or register to win. Dashboard Lighting Up Like a Christmas Tree? Life is good but then your dashboard instrument panel lights up like a Christmas tree. You painstakingly review the symbols from the owner’s manual and corresponding OBD-II codes. Now that you are up to speed on the on-board diagnostic system, it would seem that the air flow sensor, O2 sensor, electric load detector, alternator FR circuit, evaporative emission control system have all up and decided to stop working. Or maybe it is a much simpler fix. For example, in some Honda Civics, a bad terminal or a poor connection in part of the under-dash fuse/relay box could result in all of the above diagnostic trouble codes (DTCs) setting. To easily resolve all that, ensure the terminal is properly plugged in or replace it if there is any damage. The HDS (Honda Diagnostic System) can be reset to clear that array of DTCs. 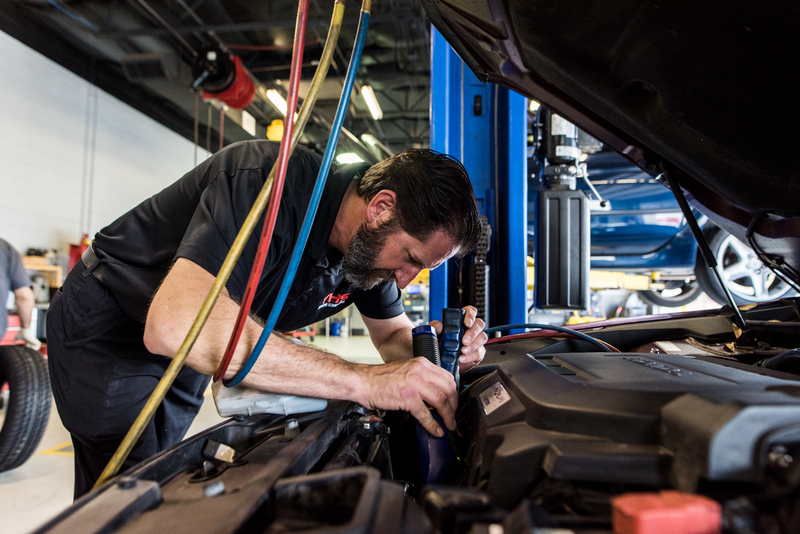 Trust YHS Automotive Service Center in Katy, Texas, to resolve all your vehicle service issues. Call 281-944-9750 for questions and to schedule your service. Fuel efficiency is the benefit of hybrids. They use gasoline just like most other vehicles, but the electrical assistance saves consumers money in fuel costs. Hybrid cars also reduce pollutants in the environment.For consumers who aim to spend as little at the dealer as possible, buying a hybrid won’t be their best choice. Dedicated car enthusiasts will find that the choices of hybrids that are fun to drive tend to be a bit thin. To help hybrid car buyers make an informed decision, here are the top rated hybrid cars that deliver the best gas mileage and performance. The Ford C-Max Hybrid’s electric and gasoline power train delivers superior fuel economy and decent power. The suspension allows for a comfortable driving experience. The voice command works well with music selection and phone calls. Additionally, the automatic parking feature is fantastic. Although it did fall short in some EPA ratings, the Ford Fusion’s fuel economy is one of the best among hybrid cars. The sync voice command allows the driver control over personal electronics. The driver assistance features are akin to more expensive cars. The Volkswagen Jetta delivers fuel economy in the mid 40 mpg range, which makes it an excellent money saving hybrid car. Another added bonus to this hybrid vehicle is the superior audio system. The Chevrolet’s MyLink system delivers Pandora Internet radio, Bluetooth audio, Stitcher and USB iPod connectivity to the dashboard of the Chevrolet Malibu Eco. The Pioneer audio system features good staging and power. The standard OnStar system adds safety and convenience. This car is a good highway cruiser, but the hybrid system falls short on delivering a good fuel economy. The Volt hybrid features a flexible power train. This offers the best of gasoline power range and electric efficiency. Power delivery is both seamless and effortless. This car offers a myriad of standard cabin technology options and an excellent audio system. The hybrid power train on this car easily achieves a fuel economy of better than 50 miles per gallon. The Entune system allows for access to online searches, weather and gas prices. The Prius V averages more than 40 miles per gallon. The large cabin includes Entune, which gives it an excellent application integration. It’s an excellent choice for families, and the new electronics gives this car a modern edge. The Prius Plug-In delivers stellar fuel economy and has the capability to further efficiency by being plugged in. The Entune system offers live destination searches, Pandora streaming and traffic data. This Lexus hybrid is practical. It offers excellent fuel economy, and the information and entertainment features includes data such as gas prices and weather. The luxury that Lexus offers ensures the ride will be smooth. The voice command in this car supports name dialing with the phone system. Data services such as fuel prices, traffic and weather are received through satellite radio. The fuel economy is great for a vehicle of this size. We found this review on the Honda civic and thought we’d share it with you. If you live in the Katy area close to Houston and own a Honda we’d like to introduce ourselves Actually I guess you might already of heard of us as you’re reading this page. 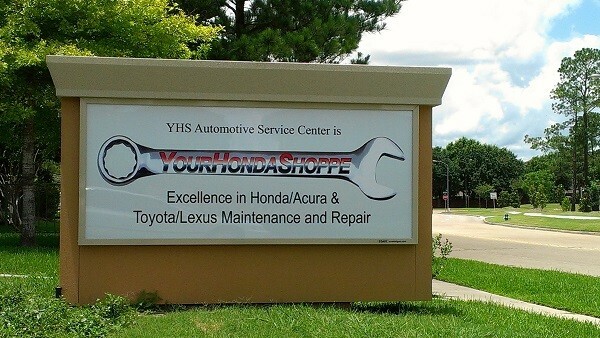 YHS Automotive Service Center opened for business in May 2013. Our passion is cars, or at least the fascination with the mechanics that runs it all. Hondas are in our opinion great cars, reliable and simple to repair. Except of course that all cars are becoming more complex as computers are used to monitor performance on cars and to run services available within the car. Honda repairs then are our speciality, Paul Garrett has worked on Hondas for many years and knows them inside out. However YHS and paul know that you have to keep your skills and knowledge up-to-date to be able to service and repair new models, some of which progress technically at a seemingly lightening speed. 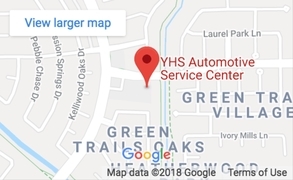 That’s why, if you’re looking for Honda repairs in Katy bringing your vehicle to YHS makes sense. We are committed to providing you with the best service possible and so we always keep our skills honed. Our second coupon is for a free oil change for new customers who bring in a Honda or Acura, so take advantage of our offers and come down and check us out. 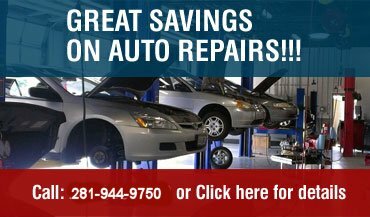 So for Honda repairs in Katy call 281-315-9790 to book a service or inspection or just come on in and have a chat. We work on a first come first served basis so you can often just drop in and get a service, repair or inspection done right away. As automotive technology continues to evolve, many manufacturers are trying to capitalize on the demands of consumers to stay connected wherever they are. As vehicles become more sophisticated technologically, there is a growing debate about the possibilities of potential hacking of key components versus the issues of driver safety and emergency communications. As with any internet connection, whether in someone’s bedroom or in their vehicle, there is always the risk of having an account compromised by hackers gaining unauthorized entry. While some experts say the risk of this is very low, others have concerns about the possibility of car’s computerized systems being hacked into and control of the vehicle being taken away from the driver. There are also concerns expressed about people’s internet accounts being hacked into through the phones and laptops that are able to be connected while in the car. Again, some experts worry about this, while others say the risk of this happening is no greater in a car than in a person’s home. They argue as long as the person is using standard virus protection software and other safety procedures, being connected in the car will be no problem for most drivers. On the flip side, automotive technology now allows for drivers to have access to emergency communication as well as safer driving features such as GPS, rear-cam technology and sensors able to detect children and animals around the car. Again, there are those who worry about emergency communications networks being compromised by hackers, or drivers being thrown off their routes by those hacking into GPS systems. However, the ability to have emergency communication at one’s fingertips while on the road is a feature most drivers love having, and they have very little worry about the systems being compromised. While both sides of the debate bring up interesting points, having a connected car in today’s world is something most drivers do not consider a luxury, but rather a necessity. Today’s world, whether at home or on the road, has become one where people expect instant connections with anyone they wish at anytime. Most people are very willing to sacrifice certain safety aspects in order to stay connected wherever they are. As drivers continue to spend more and more time in their cars commuting to work and chauffeuring kids around town, the desire to stay connected is one that will stir strong debate about convenience versus safety. We have 2 reviews on Yelp which you can find on our Yelp Page we thank Allison and Jeff for their kind words and look forward to seeing them again. In 2002, Toyota introduced the first fuel cell car at the University of California Davis Institute of Transportation Studies. The Toyota Highlander operates by using a direct electrical current. Simply put, this vehicle can drive 347 miles on one tank of water and a battery. According to Toyota, Americans have saved $2.19 billion dollars in fuel costs by driving Toyota energy efficient vehicles. Car buyers should keep in mind that there is a difference between electric cars and fuel cell cars. Electric cars are battery powered and fuel cell cars are powered by water. In 2015, Toyota will introduce a hydrogen fuel cell car. The Toyota official website does not say exactly what type of fuel cell car will be introduced. There are very few details about this new vehicle. It will have zero gas emissions and zero water emissions from the exhaust system. A USA Today report states that “Toyota is currently testing 100 hydrogen fuel cell cars.” The cars platforms are based on the Toyota Highlander crossover. On November 30, 2011, journalists got a chance to preview the Fuel Cell Vehicle (FCV-R) at the Tokyo Motor Show. The FCV-R will have a price range between $50,000 and $100,000 when it makes its debut in 2015. It will seat four passengers. The FCV-R is 189.8 inches long and 71.6 inches wide. This car is also 60.4 inches tall and it carries two hydrogen tanks underneath the floor of the vehicle. In the future, Toyota will be mass producing fuel cell cars. Toyota is trying to find new fuel alternatives. Today, consumers can buy a hybrid, a plug-in hybrid, or an electric Toyota car. In about two years, consumers will have another option. That option will be hydrogen fuel cell cars at local Toyota dealerships. However, there are a few challenges that Toyota and consumers will have to face. The Right to Repair Act requires auto manufacturers to supply all repair shops with vital service data. In states and countries that have not enacted this law, automakers only provide the information to dealerships that sell new cars. This makes it very difficult for small service stations to identify and fix complex problems.The RRA is currently in effect in the European Union and the state of Massachusetts. It orders automakers to give repair shops the codes they need to access computerized diagnostic systems. They must also provide other service information that helps mechanics perform successful repairs.The National Federation of Independent Business, the AAA, various auto part suppliers and many car repair shops back the Right to Repair Act. Supporters want it to become law throughout North America. This legislation should not be confused with the Right to Repair Act in Georgia; it regulates home repairs performed by contractors. The RRA affects many types of businesses and individuals. It gives small repair shops a better ability to compete with dealerships. call YHS now to book your auto repair appointmentLimited access to diagnostic data currently renders them unable to perform millions of repairs. The law also helps aftermarket part suppliers that sell products to independent shops. The Right to Repair Act offers great benefits for vehicle owners as well. It eliminates the need to visit a dealer for complex car repairs. This allows drivers to save time and money by using the nearest service station. However, the act remains controversial because of its negative impact on auto dealerships. 19831 Greenwind Chase, Houston, TX. © 2015 YHS Automotive Service Center.